Denise Powell is the Founder and Editor-in-Chief of The Voices Project (www.thevoicesproject.org), a literary venue for women for empowerment and self-expression. She holds dual B.A. degrees in English and Journalism from the University of Iowa and was a student of the university’s Undergraduate Poetry Workshop. Her writing has been published in literary magazines, books, and blogs including the following: Earthwords (University of Iowa Undergraduate Review), LethologicA (Naropa Press), Scribo (CLC Press), The Pulchitudinous Review, Principles of Water Resources (Wiley Publishers), Nigel Barker's Beauty Equation, and Poetry Pacific (forthcoming). 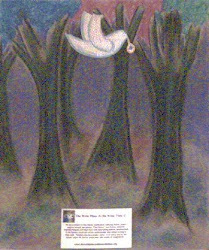 Recent works can be found on her poetry blog, www.writingsbydcp.blogspot.com. Denise has 9 years of experience in the publishing industry, particularly in higher education, as Associate Editor for Wiley Publishers and Senior Project Manager for Partner in Publishing. She is a member of the U.S. Board of Directors for OrphanAid Africa (www.oafrica.org), a non-profit organization based in Ghana, West Africa, that provides support to orphans and vulnerable children and their families to help families stay together. An avid traveler, Denise has visited 42 countries and has a passion for promoting human rights internationally and domestically. The Voices Project is an online literary venue for women to express their voices through poetry in order to promote positive social change within their communities and in the world. I wanted to create a site where women and girls have an opportunity to express their personal story through poetry despite their backgrounds, ages, or education levels. By providing women writers a non-judgmental space to have their work published, the hope is that our contributors will in-turn be motivated to not only express their passions and show their talent, but to positively affect everything within their realms-- encouraging them to see opportunity instead of obstacles. I mainly write poetry, although I have dabbled in journalism. I am inspired by surrealism (art and writing). I use a lot of vivid imagery of what I see around me to begin a poem, painting a picture for the reader but also leaving space for various interpretations of the meaning of the work. I write in mostly free verse and I go back and revise my work many times before I share it with others. I write as much as I can while balancing my career as an editor, and family life. I have a poetry blog, which I do not share with many people. Most importantly, it keeps me writing! 3) What writers have influenced you the most? John Ashbery, Jorie Graham, Pablo Neruda. Maya Angelou, Robert Creeley, Emily Dickinson, E.B. White, John Irving, David Sedaris, Gabriel Garcia Marquez, Frank Conroy…to name a few. Since my current project focuses on women writers, I recently read Lean In, by Sheryl Sandberg. The former CEO of Google and current COO of Facebook calls her new book a kind of “feminist manifesto”, which she was reluctant to call the book in the beginning but later embraced it, about balancing family and career and her personal obstacles and triumphs getting to the top. Although I could not relate to everything she spoke about, I concur with her overarching message that we need more women leaders in the world to stand up and help shape our future for the better. 4) What are the most common writing mistakes you see? I find that some people do not proofread their work upon submission. This creates more work for me. I am open to editing pieces, but when I see minor (and sometimes major) grammatical errors, it’s very glaring and can distract me from what the author is really trying to convey. And it happens more often than I would expect. Also, occasionally, authors will submit a poem that is more like a stream of consciousness that presents itself more like a complaint or rant, rather than well-crafted poetry with creative word choices. 5) What classes have you taken that have helped you the most? I took every creative writing class offered at the University of Iowa, including reading poetry, fiction writing, non-fiction writing, writing poetry, and personal writing. Iowa City is one of the greatest literary communities, and I ate it up. The world’s best writers often graced the town’s tiny bookstore, and I was often in the first row for readings. Just listening to professional writers share their work was eye-opening and served as a wonderful learning tool for me. I was also lucky to be selected into the university’s Undergraduate Poetry Workshop and was humbled by the 9 peers in my class, all seasoned writers. I learned the most from reading other people’s work, and also having my own work dissected. I am still learning to this day how to be a better writer and I think the key is getting as much feedback as possible and not being afraid of criticism. 6) What advice would you give other writers? - Write when you’re really inspired at random times…on a napkin, or in a notebook that you carry with you at all times. Those moments are precious and not to be lost because you’re without your laptop. - Find a poet or writer you like and read a lot of their work. Try to write at least a paragraph after reading something that spurs your creative juices. - Seek feedback from other writers whose work, and opinion, you respect and learn to take some criticism. - Keep your writing tight. Eliminate superfluous verbiage whenever possible, as every word counts. - Revise and proofread your work before submitting or publishing! Interviewer Bio- Carol Smallwood co-edited Women on Poetry: Writing, Revising, Publishing and Teaching (McFarland, 2012) on the list of “Best Books for Writers” by Poets & Writers Magazine; Compartments: Poems on Nature, Femininity, and Other Realms (Anaphora Literary Press, 2011) received a Pushcart nomination. Carol has founded, supports humane societies. Rochelle Jewel Shapiro is the author of Miriam the Medium (Simon & Schuster, 2004) and like her protagonist, is a phone psychic who lives in Great Neck, New York. Articles have been written about her psychic gift in Redbook, The Jerusalem Post, the Dutch Magazine, TV GID, and the Long Island section of The New York Times. She’s chronicled her own psychic experiences in Newsweek (My Turn), and The New York Times (Lives). Miriam the Medium was also published in Belgium, Holland, and the U.K. and was nominated for the Harold U. Ribelow Award. 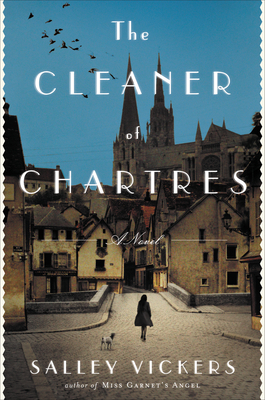 Shapiro is the winner of the The Brandon Memorial Literary Award. Kaylee's Ghost was a finalist in the 2013 Indie Award for excellence in fiction. Her poetry has appeared in The Iowa Review, Moment, Harpur Palate, Inkwell Magazine, The Doctor T. J. Eckleburg Review and the Los Angeles Review. Shapiro has been nominated for a Pushcart Prize in poetry. Besides her psychic practice, Shapiro teaches writing at UCLA Extension and writes for the Huffington Post. 1) During our initial conversation, you had described how poetry was a medium that served as an anchor for you; one that helped you sort through all of the thoughts, emotions and complex intuitive feelings that came as a result of an inherited psychic ability. Describe the transition to storytelling prose and how this further affected you (by being able to spin fictional stories that had a realistic connection to your life and experiences). It was natural for me to begin my writing life with poetry. It was all around me in childhood. The linoleum floor in my bedroom was printed with nursery rhymes. As soon as I got up in the morning, I would hop from “Mistress Mary” to “Simple Simon”, singing each rhyme as I went. Then there were the rhymes in the songs that I played on my record player. “In the land of France, a little girl named Tina loved to dance, dance, dance, and they called her ballerina.” But when I got to grade school, poetry was flayed from my heart by Joyce Kilmer’s “Trees”. I was always the one who managed to have to get up and recite the line, “A tree whose hungry mouth is prest /Against the earth’s sweet, flowing breast.” But in 1985, I was pulled like an iron filing by a magnet to the 811 stacks at the library and found poetry by Mae Swenson, Sharon Olds, Robert Pinsky, Robert Hass, and I got that prickle on the back of my neck and shoulders that I get when I feel, as a psychic, a destiny moment. Before long, I began to write and publish poetry and be part of poetry readings when anthologies came out. My son used to answer the phone when people called for readings and ask, “Psychic or poetry?” Poetry allows you to braid images, memories, and impressions and bake them like my Russian grandma, my Bubbie, made her challahs. My poetry was always narrative and both readers and editors would remark, “That could be a story.” And that’s what led me to short story. From there, I went into long, hard labor with my novel. When I write fiction, I need some things to be true in order to ground me. For example, Miriam Kaminsky, my heroine, is a phone psychic like I am. And she lives in Great Neck, Long Island, as I do. But every incident, every character, is an invention. And thank goodness for that when you read the perilous things that happen in my novels. When my agent brought me to Simon & Schuster, I had those same prickles on the back of my neck and shoulders as when I was led to poetry. I knew I was going to sign a contract with them. 2) In Miriam the Medium (Simon and Shuster, nominated for the Harold U. Ribelow Award), Miriam recalls an instance where six-year-old Cara asks how her mother can know things about people without them telling her. Miriam uses a Crayola box to symbolize aura colors, suggesting that since she can see the colors around people, she discern a good deal about who they are and what they’re feeling before they speak to her. Writers have always had a particularly honed sense of observation that can pick up clues from gestures, objects and behavioral patterns that other observers might not take notice of. It is in this way, looking for the hidden or unexpected in real life and making a study of people around them, that writers derive inspiration for the formation of their characters. As Miriam is supposed to reflect certain similarities to your own abilities of perception, how does having the added intuitive layer of observing individuals affect how you build your own characters/influence your creative process? It’s just like that for me with fictional characters. I get to know all sorts of things about them that aren’t even pertinent to the story, but help me build a strong character, no matter how minor he or she is. I believe in my characters because once I set my mind to them, I get everything I need to feel close to them in the same way that I get to feel about my clients. They even come to me in dreams. Sometimes I write letters to my characters, asking them to solve a plot point. “Dear Kaylee, What would you do if..?” Then I put on music—Mozart these days because his music is rumored to make you smarter—and I write out the character’s reply. Sure, it’s my own mind writing the answer, but when you treat your character as you would anyone else whom you’re intimate with, you’ve really got something! And I think that intimacy with your characters leads to intimacy with the reader. 3) At the conclusion of Miriam the Medium, Miriam learns to be sure of herself, trust her inclinations/instincts, have faith in her talents and pursues her passion regardless of the perceptions of others. So often in life, for a number of reasons, we are dissuaded (whether by society in general, a certain teacher/authority figure/person of influence) from following our dreams, cautioned against having our talents encouraged and told not to trust our subjective instincts. Be it a calling, a profession or a life path, talk to us about the balance between pragmaticism and taking the unconventional road where a passion is realized. Odd the way parents foist music lessons on disinterested kids, holler at them if they don’t practice, sit through tedious piano recitals, and then, if their children decide to become musicians, the parents are desperate to talk them out of it. Parents want their kids to become lawyers, dentists, accountants, so that someday their kids will be able to afford to foist music lessons on their progeny. It’s no different with writing. Dare to become an English major and everyone is asking you, with a raised brow, “So, what are you intending to do with it?” Creative writing major? Forget it. Better to say you’re studying micro-economics (code for, I’ll be earning very little, which might be the truth). That means you will have to figure out another job to sustain you. And what’s wrong with that? William Carlos Williams and Fyodor Dostoyevsky were both practicing physicians. Nathaniel Hawthorne was a weigher and a gouger at the Boston Custom House which housed offices to process the paperwork of imports and exports. Dan Brown, before he struck it rich with The Da Vinci Code, was a high school English teacher. If there’s a passion inside you, no matter how much you resist it or forces seem to be working against you, it will grab you by the seat of your pants and the back of your collar and carry you to it, kicking and screaming if necessary. After going to college and getting a Master’s degree in fine arts, I didn’t want to become a professional psychic like my Russian grandma, my Bubbie, even though I respected and adored her. I wanted to be modern, to do something that reflected my education. But whatever else I did, I would constantly blurt out things people hadn’t told me, because I heard them in my mind as if they had already told me, which made it uncomfortable for people to be around me. When I gave in and became a professional psychic, this inclination to tell people what was going on in their lives was channeled into my work, and I was free to go anywhere without embarrassment for the first time in my life! 4) With Kaylee’s Ghost (a finalist for the 2013 Indie Award for excellence in fiction) you were able to revisit the vivid characters of your traditionally published novel yet tell the new story using the trendy e-book format and self-publishing model. Tracing the evolution of family, gifts and boundaries inherited as well as the undeniable bonds between three generations, what were some of your favorite creative aspects of writing this book? What were some of your favorite publishing aspects of this book (utilizing the technology and self-publishing methodologies)? It was exciting to write a novel in which the characters could grow up along with me. In Kaylee’s Ghost, Miriam Kaminsky, the phone psychic, is now a grandmother who wants more than anything to mentor her granddaughter, Violet, to be psychic the way her Russian grandma, Bubbie, had done with her. And Miriam’s daughter, now a modern businesswoman who remembers the downside of life with her psychic mother, digs in her heels. As tensions heat up in the family, Violet, a sensitive and brilliant child, is torn between them until Miriam’s gift backfires, bringing terrible danger to those she loves. Not only was the plot new, but all the minor characters as well. I found it like a Color Field painting. If you put a red square against a green background, it appears totally different than putting a red square against a blue background. But what was most exciting was that I missed the characters. They lived in my psyche long after the first book was sent to press. And they dwelt in the lives of my fans as well. I kept getting fan mail that said, “When are we going to hear from Miriam again?” And here she is in Kaylee’s Ghost. Truly, if it hadn’t been for my first book having the wide reach of being published with Simon & Schuster, Kaylee’s Ghost would not be on the map. I am a tech dud. You have to be an ingenious techie and marketer to make a self-published book happen. But with the support of fans and fabulous opportunities such as this one, word is getting out. Maybe Jack Scovil’s spirit is helping me, because such an uncanny thing happened that it had to be supernatural. A famous European psychic, Birkan Tore, who has his own show in Sweden, was watching an old episode of The Mentalist when he saw my first novel, Miriam the Medium, lying on a table. He looked up the title and read the book. He was so excited that he phoned me. I told him about Kaylee’s Ghost and he’s recommending it to his viewers and his huge number of students. Now really, even if you’re a non-believer, wouldn’t you have to admit that something uncanny was afoot? 5) Give our writers a brief glimpse of the traditional publishing cycle in terms of your personal experience (from the query to the manuscript being accepted by an agent, the search for a publisher, the post-publishing publicity push that can include both author and publisher effort, the shelf-life of the book and so forth…). First step is to write a sock-o query letter. The query letter gives an agent a sense of how you write and also teases them into desperately wanting to read your book, Go to book jackets and read the copy and you’ll see how to do it. Whoever writes them certainly doesn’t give away the plot, but in a few words, gets the reader excited to read the book. Yes, there are loads of lists of agents, but one of the best way to find one is to think about which authors your work has a kinship with. For example, one of my authors is Alice Hoffman, who often writes about the supernatural. Then see go to their books. There’s always an acknowledgement of their agent. Query him or her. When and if you get an acceptance from an agent, know that you might be required to do extensive rewrites before he will send your book out. Also, publishers may hang onto your book for quite awhile. The whole process requires that you not just sit back and wait, but start on your next project with the self-assurance that something will happen for you. Listen up. You don’t just get a book published today unless you’re some kind of celebrity, no matter how good it is. One of the first things a publisher will ask you is, “What is your platform?” That means you have to have a blog with tons of followers, a FB page with tons of followers and LIKES, tons of twitter followers, etc. I was lucky enough to have published about my psychic experiences in The New York Times (Lives) and Newsweek and had an article published about me in Redbook. In other words, you usually need to be “known” in some way before a publisher will take a chance on you. The upside of this is that you can do a blog that attracts attention such as E.L. James did with Fifty Shades of Gray. The publishers are looking for buzz and then they will sign you up and movie deals will happen. I attended BEA (Book Expo of America) this year and learned that authors were posting their books on free sites to get reader feedback, all the while social-marketing the heck out of their books, reading them on YouTube, etc. That’s what got the authors lucrative book deals. Keep one foot in the waters of the literary world and the other in the widening gyre of social media. 6) What areas do you focus most on in your classes as an instructor of writing through the UCLA extension? I teach a course called “Emotions into Art” at UCLA Extension. If your characters aren’t driven by desperate emotions, what will keep the reader reading? Think of Gatsby’s desperation to win back Daisy. Think of Hamlet’s desperation to expose the truth of his father’s death. Even comedies have desperate characters. Think of the characters in Yona Zeldis McDonough’s A Wedding in Great Neck where each member of the family is in a desperate clash for his own identity and search for love. Author Maxine Hong Kingston asks her students, “What do you feel?” about what they’ve read or written and she finds that they give analyses instead. She teaches them to work on feeling scene by scene so that the reader can have feelings inside himself. This is the way I teach as well. I help students find their deepest themes, what eats at them in their lives: sibling rivalry, betrayal, fear of abandonment, etc. Find your life themes and apply them to fictional characters, even if they are aliens, and you’ve got something worth working on for yourself and certainly something worthy of a reader’s attention. Harry Munns has been the recipient of the John Southam Award for Journalism, the Writer's Digest Award and the SPAN Award. 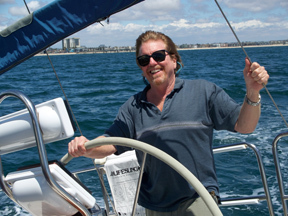 Drawing upon his boating expertise, Munns produced the Boating World weekly magazine show for ESPN (production included concept, writing and editing). Instructional non-fiction works of the author include two titles for McGraw-Hill. 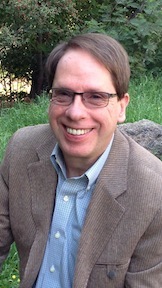 Munns has served as an editor for American Sailing (ASA Journal) and Let's Go Sailing (Hearst Books). His journalism has appeared in numerous publications including Men's Fitness and Sailing Magazine. His work extends to a fiction novel Someday Comes as well as an inspirational title Spectacular Comeback. For more info, see links below interview. 1) When you used your expertise for some of the elements in your novel Someday Comes as opposed to the mediums of journalism and the instructional non-fiction McGraw-Hill titles, what were some of the freeing qualities and challenges of doing so? That’s a great question because the processes are very different. When I write instructional material, it’s essential that I get everything right. Factual things like statistics and regulations have to be accurate. I spend a lot of time consulting reference books and double checking data. When I write fiction, I can create the world in which the facts exist and therefore, create the facts. That doesn’t mean I can alter well-known information such as historical dates or geographic locations. But I can take a lot of liberties with those things. For me, it’s a lot easier inventing a new world than it is trying to keep track of the one that already exists. It flows a lot better and I get a lot more done. 2) Working on the Boating World weekly magazine show for ESPN, what were some of your methods for concept development and writing- how did you seamlessly incorporate your style and experience into the needs of the show? I had written and co-written a few books on boating by the time I produced Boating World. I had also worked with hundreds of sailing professionals and developing boaters. I was pretty familiar with the elements of boating they cared about and what interested them. I approached Boating World with a series of questions, the first of which was, what mystifies or confuses people about boating? That may seem like an overly simple starting point but that question led to some more specific questions such as, what would capture the interest of non-boaters and what would help new boaters move more easily into the boating lifestyle. Every decision I made at Boating World was based on the answer to a question about what aspects of boating would appeal to the audience and how to present them in the most entertaining and compelling manner. 3) You won the John Southam award "Honoring Excellence in Sailing Communication" in 1999 for an article that appeared in Men's Fitness. What are your favorite aspects of journalism and its power to convey important information to the public? In a journalistic environment where it’s understood the writer has performed his or her due diligence including extensive research, a reader can expect to get educated. I’ve always appreciated that quality in publications like The New York Times. You can begin an article on a subject you know little or nothing about and by the end feel you understand who the players are and what their relationship is to one another. You know about the conflicts and how they may or may not get resolved. I wouldn’t put myself in that class of journalists but I would say when I write that kind of material I’m very conscious of trying to write within those parameters. I’m not sure this would work for everyone, but [when I write to inform an audience] I try to recall my state of mind when I knew little or nothing about something like boating. I try to remember my pre-conceived notions about the subject and explain how the factual material differs. I also try to think in sequential terms, whether it’s about the sequence of learning or the sequence of performing some task. I try to remember, stories have a beginning, middle and end because the human brain can follow that sequence. 4) Your website for your motivational non-fiction book Spectacular Comeback features a comment from the Midwest Book Review that calls the book "an inspirational read". What was your personal inspiration, drawn from your rich array of life experiences, to do this book and come up with the twenty-four day program that you describe as teaching "...you how to control the things you can control and how to re-order, reclaim and rebuild your life." Somewhere along the line, I adopted a strong, personal belief that this universe contains all the answers to every question that mankind can ask. Our challenge is to find them. When life threw me a formidable challenge and landed me in an unintended place, I found a series of answers to the questions I asked about finding my way back from that place. When I reflected on those questions and answers, I realized they could be condensed and compiled into a series of steps that I believed other people could take to make the same journey. Spectacular Comeback is the result of my journey of discovery and my subsequent analysis of it. [The book] is a series of exercises, some of which build on the ones before them. The first few exercises encourage participants to look solidly and honestly at their current situation. It’s hard to look at yourself objectively. If someone came to the book because of some great loss, he or she may only see their own sadness. No one’s only one thing-- sad, happy, frustrated… We try to get them to see the whole person rather than the part that may be overwhelming. 5) Concerning your expert status in boating that translates into books, articles and programs, how do you maintain your 'brand' as a writer and keep your voice distinctive while molding it to different audiences and projects? I think there’s only one way a writer develops his or her voice, by writing, reading and re-writing until the process gets smoother and easier. I’ve had the privilege of doing enough writing to get to a point where I feel I’ve developed my voice. I mold that voice for different projects all the time. I write a newspaper column into which I inject irony and humor. I also do a considerable amount of writing for business. Irony and humor have little or no place in that writing. I guess it all comes back to the reader. Once I know who will read my material and what it’s intended to accomplish, the style and substance follow. 6) How has the advent of digital publishing changed your career as a writer and what doors has it opened? I have worked with some big publishers such as Simon & Schuster and McGraw-Hill. I have also self-published. I have worked with talented graphic artists and tried my hand at desktop publishing. I’d say at this juncture, there’s a place for every one of those entities. But because there are more choices, it’s more challenging matching the project to the methods of getting it out to readers. The biggest advantage to digital publishing is control. The last time I checked the bigger publishers were on about an 18 month cycle, from buying a manuscript to getting it into book stores. An author can spend a few hundred dollars and get books in a month. The disadvantage [to digital self-publishing] is that you have none of the support you would get from a publisher unless you’re [already a known quantity] such as John Grisham or Nora Roberts; although you shouldn’t expect much in the way of advertising and promotion from a publisher anyway. Another advantage to traditional publishers is that when you hand over your manuscript after all the edits and changes, you can get busy writing your next book. Do-it-yourselfers need to acquire and exercise a lot of skills to get those jobs done a fraction as well as a publisher. The best news of all for authors is that there have never been more opportunities to get the material we produce into print and into the hands of readers. We live in a very exciting time. 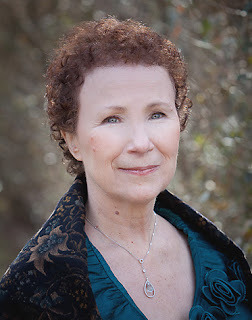 Joan Gelfand is one of the New Chapter Development national representatives for the Women's National Book Association, the Co-Poetry Liaison for the San Francisco Writers Conference, a contributing Poetry Editor to the “J” and a member of the National Book Critics Circle. She blogs regularly for the Huffington Post and teaches writing for Poetry Inside Out in addition to coaching writers in San Francisco. One of her current roles is serving as Co-Editor of the anthology Women and the Web: How The Internet Creates Entrepreneurial Opportunities for Women. Joan's work has appeared in over eighty national magazines, anthologies and literary journals around the world. Her work has been nominated for both Pushcart and Carver Prizes. Publications include Vanity Fair, Poets & Writers, The New York Times Magazine, The Huffington Post, Rattle, The Toronto Quarterly, Kalliope, Eclipse and Meridian Anthology of Contemporary Poetry. Her poetry collections include A Dreamer's Guide to Cities and Streams and Seeking Center. Her collection of short stories, Here and Abroad, is the Winner of the 2010 Cervená Barva Press Fiction Contest, judged by Dorothy Freudenthal. Transported is a spoken word CD with original music by Marty Castleberg. 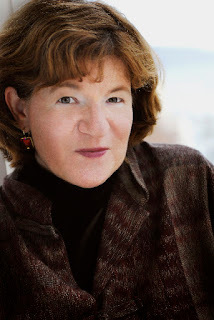 She served as the President of the Women's National Book Association from 2008 to 2010. 1) How has your business background of over 20 years advanced your writing? I've tried to take a similar approach in my writing as I did in my business career. I use the same persistence in my writing that made me successful in business. I try to be pragmatic and not take rejection, criticism or editorial suggestions personally. I have also tried to find mentors and coaches and align myself with writers who are 'further down the line.' I am an enthusiastic cheerleader and supporter of other writers. The truth is, that while writing is solitary, it is still a business. I've gotten involved in the community of writers, volunteered to further literacy and have helped other writers get started. I've also used my experience with goal-setting and planning to plan my writing. 2) You are active in associations. How have they helped your career? I've learned so much from groups like the Women's National Book Association. I learned about 'the path to publication,' and I've been offered opportunities that I would never have gotten if I hadn't been involved as a volunteer. For example, I am the Co-Poetry Liaison for the San Francisco Writer's Conference. I met the organizers through WNBA. I also started blogging for the Huffington Post through WNBA. I've been offered readings, interviews, and even publication opportunities through WNBA and PEN Oakland. 3) What is your writing and teaching schedule? I teach part-time; about 2-3 days per week. As a rule, I write in the mornings. If I have class, then I have to change that around, but in general, I'm writing about 15 hours per week. I just finished a novel and am in discussions with an agent. I have just sent out my third full-length poetry manuscript for consideration and I'm working on a few different blog posts. I'm also the Poetry Editor for the "J", a Northern California newspaper with a circulation of approx. 30,000. 5) What writing mistakes do you see students make the most? They call the work finished too soon. Most writing needs to be drafted, allowed to sit, be reviewed, revised. Repeat. Unless I've worked on something 5-8 times, I won't let it go. I try to encourage my students not to rush, and to educate them that writing is a process. 6) How have you managed to become an accomplished public speaker? Once I was published, people considered me an authority. I started speaking to writers on my experience of navigating the publishing world- how I got started, what works, what doesn't. I guess people like what I have to say because I've been invited to many panels on writing. 7) How do you make the most of websites, blogs, e-newsletters? I try to spend some time 'on-line' every day. Through Twitter and Facebook, I learn about different websites of interest to writers. I send my own e-newsletter out about once a month to update my friends, family and colleagues on new developments in my career. I always include a section about 'friends' and also a section on 'opportunities.' That way it isn't all about 'me' but more of a community experience. Interviewer Bio- Carol Smallwood co-edited Women on Poetry: Writing, Revising, Publishing and Teaching (McFarland, 2012) on the list of "Best Books for Writers" by Poets & Writers Magazine; Women Writing on Family: Tips on Writing, Teaching and Publishing (Key Publishing House, 2012); Compartments: Poems on Nature, Femininity, and Other Realms (Anaphora Literary Press, 2011) received a Pushcart nomination. Carol has founded, supports humane societies.